Becoming a Sponsor is a decision of conscious along with making the move to support businesses that help you bring your business message to the public domain. And do so in a fashion that agrees with your own philosophy of how things should work; even though many things don't work that way on the web. Advertising has become most important on many sites and the ads overshadow the message of what people are really looking for - articles that impart information the viewer wants to read. 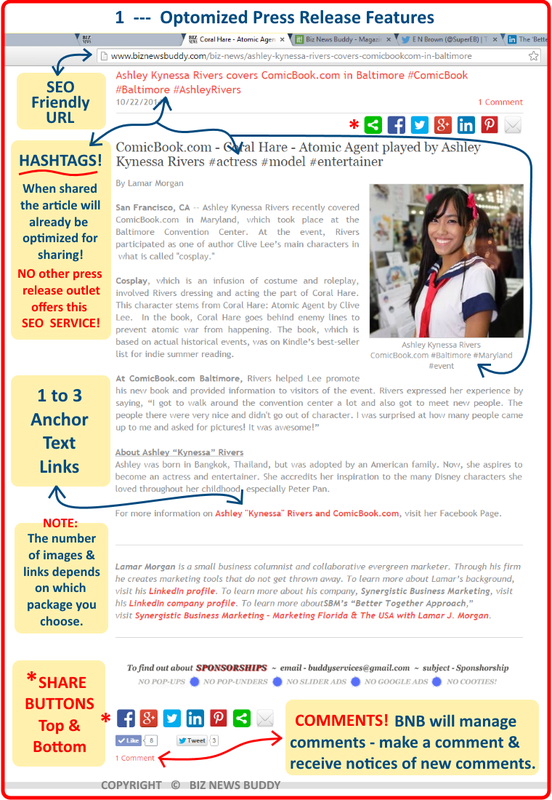 With this simple philosophy "NO pop-ups - NO pop-unders - NO slider ads" Biz News Buddy wants to provide an atmosphere that is not only family-friendly, but is clean of spammy ads that so many websites display today. Family-friendly means your child or grandchild can sit on your lap while you read an article of interest. No danger of risque ads popping-up or objectionable video ads running automatically. Biz News Buddy will keep it all clean. 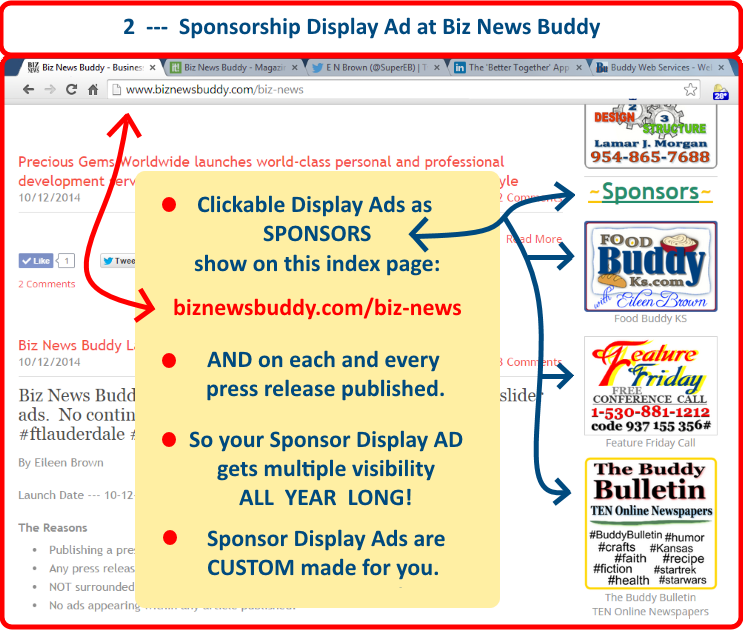 What To Expect When You Become A Sponsor At Biz News Buddy. This is an example of an "always on" display ad. When anyone comes to read an article, your ad will display in TWO places. On the 'Index' page and with every press release published. Expect this page to change often. 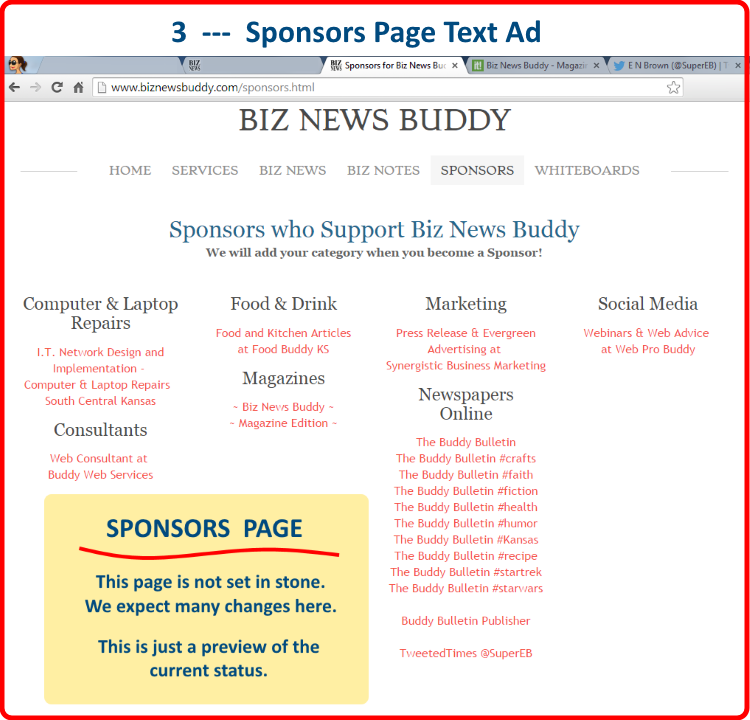 As sponsors fill this page, it will expand and possibly contain display ads too. Still in 'consideration' mode, your text ad will be longer than those already represented. 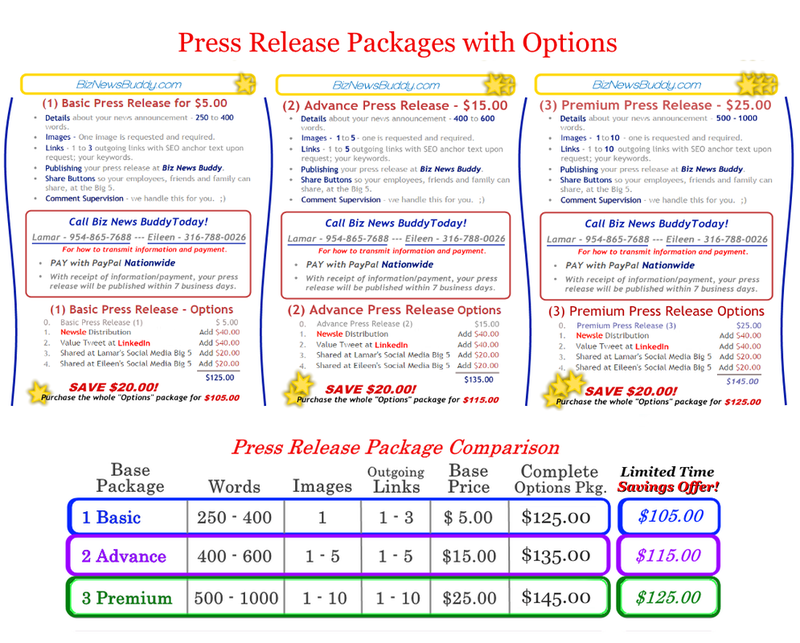 YOU have a discounted price list! Limited time offer but a great deal. environment at Biz News Buddy.